The 3 Columns of History. The Torah always presents information to us with great built in redundancy, so it’s not the Torah’s fault if we’re slow on the uptake. For example, did you ever wonder why there were 70 family members who entered Egypt and began the 210 years of exile there while they grew to 600,000? Or why Moses and his siblings had to pass the Torah on to 70 Elders before it could be given to the people, also 600,000 at the time. And you probably didn’t realize that Noah’s sons had 70 named descendants in the Torah, which eventually populated the world. So if the Torah is expressing a distinctive pattern, it’s our obligation to try and figure out why, what he message is. This is the Sod Torah, the secret chambers of the Torah that house the deepest wisdom. By the way, the 70 sub-sefirot are naturally bundled this way; it wasn’t some convenient arrangement of ours. Then, of course, there is 137, the numerical gematria value of Kabbalah, meaning both to receive and also parallel, as in parallel meaning and parallel universe. As my friend Mordechai pointed out, 1-3-70 is also 1370 as in the 1370 that Chazal tells us the Moslems were to rule over the Jews in merit of their forefather Ishmael (10 years for each of the 137 of his life), which incidentally ended on June 8th, 2002, 1370 years after the death of Mohammad in 632 CE. Then there is 1 x 3 x 70 = 210 years of exile in Egypt. Of course, Keter is 1, but it’s also 100 and 100 + 70 + 3 = 173, as in the 173 keys that the Zohar tells us G-d gave to Moses to access Heaven, and allusion to the small gematria value of the 42-Letter Name of G-d, 173. Let’s put that aside for the moment and see where the 3 column structure of the Tree-of-life takes us. The Arizal explains that all history is based on cycles of the coupling of Zeir Anpin and Malchut (in it’s most simplistic form, Heaven and Earth). These cycles include the 3 times of the day (corresponding to the 3 sets of daily prayers); the 7 days of the weeks; 12 months in a year He further states that in the grand cycle, the destruction of the Second Temple in 3830 HC heralded the end of the coupling of Zeir Anpin and Malchut, which will reoccur in the time of the Third Temple. Interestingly, the Second Temple was destroyed in 70 CE, and the first Temple was destroyed in 3338 HC, or -422 CE, which is germane because 422 is the gematria value of the word seventy (70). Now, since the 2nd of the 3 periods (columns) of history ended in 3830, if this first 2 periods were split down the middle, each would be 1915 years long. I haven’t found any biblical events that match the year 1915, but Abraham was born 33 years later in 1948. And similarly, 3830 + 1915 (or alternatively 1915 x 3 periods) = 5745 (1985 CE), which is 33 years before 5778, the year prophesied by Rav Ashlag, etc. for the geula (final redemption) and the arrival of Moshiach and the 3rd Tree-of-life opportunity. Nevertheless, we know that the 70 years of King David’s life is tied into the whole Mashiach calendar and that the midpoint of his life in 2889 HC is exactly halfway between Adam (0) and Moshaich in 5778 HC, and so we should see see how his life compares with the 3 periods of 1915 years. As it happens, half way between the first 1915 year period and the the second at 3830 is the year 2872 and half of 33 years later is 2889, alternatively David was born 33/2 years before 2872 in 2854 HC. So why the 33 years? Is it because it’s 1/3 of 100 (keter)? Or because it’s 1 more than the 32 Paths of Wisdom (Tree-of-life). Or is it something deeper, some link/path/gateway that G-d wants us to find on our own. After all, the square root of 33 is 57.45, as in 3 x 1915 = 5745. Couldn’t be, right? 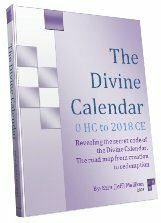 Square roots factoring into G-d’s Divine calendar? Well, maybe, considering that the square root of 1370 = 37.01, and the gematria value of the 42-Letter Name is 3701. And speaking of the 42-Letter Name, whose small gematria value if you recall was 173, the square root of 3 is 1.73. Nevertheless, 33 is 2/3 or .666 of the 50-year biblical jubilee year, which the Torah commands us (starting back in 2448 HC at Mt Sinai) to count, until the arrival of Moshiach 3330 (66.6 jubilee) years later. Now the Divine Calendar is so designed so that Abraham would be born in 1948 HC, and Israel would become a nation in 1948 CE and that 1948 years after the destruction of the Second Temple in 3830, we’d get the 3rd opportunity for the Tree-of-life reality in 5778, which is 2018 CE, 70 years after Israel became a nation, just as it was 70 years after Abraham was born in 1948, that G-d made his Covenant with Abraham (in 2018 HC). But if that isn’t enough, it was also so designed so that the square root of the year the First Holy Temple was destroyed, 3338 is 57.78, and moreover that the square root of 5778 is 76.0 and 76.6 jubilee years is 3830, when the Second Holy Temple was destroyed. Author Jeffrey MeilikenPosted on October 28, 2010 Categories RevelationsTags 111, 137, 1370, 173, 173 keys, 1848, 1915, 1915 years, 2002, 2018, 2018 ce, 210 years, 238, 2448, 2854, 2889, 3, 33, 33 years, 3330, 3339, 37, 3701, 3830, 3830 hc, 42-letter name, 422, 422 ce, 50 years, 5778, 600000, 666, 7, 70, 70 CE, 70 elders, Aaron, Adam, alef, Ana B'Koach, arizal, Chochma, Da'at, divine calendar, Egypt, exile, final redemption, first temple, gematria, genesis prayer, geula, History, Holy Temple, Ishmael, Israel, Jacob, jubilee year, june 8th, kabbalah, keter, king david, malchut, Mashiach, messiah, miriam, Mohammed, moses, Moshiach, Mt sinai, noach, noah, Patriarch, Second Temple, sefirot, Sod Torah, time, Torah, tree-of-life, uranium 238, zeir anpin, zohar3 Comments on The 3 Columns of History. The ancient and future cubit is the key piece of information missing for the construction of the Third Holy Temple. It’s been known yet concealed for thousands of years, but this year we enter the final 9 years and have the ability to go beyond the 9th level, to past Wisdom (Chochma), the phase that began with the birth of the Arizal, 9/10 of the way from Adam to Moshiach, as advised by Rav Ashlag and other kabbalists of blessed memory (see The Divine Calendar). Exactly halfway to that point, in 2889 HC, was the midpoint in King David’s life, 57.78 jubilee years after Adam’s creation. A few years later he’d begin planning the construction of the First Holy Temple, which his son, King Solomon would see through to completion. That Temple didn’t last, neither did the Second Temple, nor were they really supposed to. Man didn’t have the consciousness to maintain their spiritual integrity and thus they physically fell too. This time the dimensions of the Temple are a little different, they are more in tune with the cosmos, with eternal existence rather than temporal. This time the dimensions will mean more than numbers or blocks of stone in a wall. The Ramchal, R’ Chaim Luzzatto of blessed memory, explains that Ezekiel saw the Future Temple with a height of 100 cubits, yet the First temple, built by King Solomon, who had wisdom (Chochma) was 120 cubits and 120 is greater than 100. The First temple had an additional floor of 20 cubits, representing Keter, that the Third Temple, which is Keter will not have. or need. Thus the cubit utilized in the Third Temple is a “far” greater one than the one used by Solomon, at least 20% greater, making it at least 20% greater than somewhere between 19.6-22.5 inches–the commonly assumed measure for the cubit. The Ramchal further explains that the word B-reshit, (literally “2 Beginnings”) ,the Torah’s first word, indicates that there are two beginnings, the one we know, in wisdom (Chochma), and the previous one beyond our comprehension, in Keter. This is indicated by the gematria of the Torah’s first verse of 28 letters, 2701, which is the sum of the positive integers from 1 to 73, with 73 being the numerical value of Chochma (wisdom), the 9th sefira. Also, it should be known that this initial Torah verse stretches and covers all 9 sefirot from Malchut to Chochma in that 2701 plus the kolel of 3 = 52 squared and 52 is the numerical value of the Name of G-d that is in essence Malchut (kingdom), our physical world. When we enter the time of the Messiah and Future Temple becomes physical, we will be in the time and space frame of Keter, the 10th and ultimate sefira. The cubit according to tradition was always an approximate measure of a man’s forearm and hand or 5-6 hands widths depending on interpretation, accurate enough for most simple construction I guess, but…. Abraham in his Sefer Yetzirah tells us that the greater universe is constructed with 22 building blocks, and moreover that this construction takes the form of 10 sefirot (dimensions) with 5 on one side, 5 on the other, unified yet cleaved down the middle. Similarly we find “My left hand has founded the earth and my right hand has spread out the heavens” Isaiah 48:13) giving us again 5 on right, 5 on the left, separated in the middle, just like the Ten Commandments, which represent and parallel the Tree-of-life. This is an important representation of the structure of the universe because we would assume that the cubit that measured the universe before our time began and that will measure it in a physical sense once the Temple is properly constructed would be one and the same. And in these and similar passages Abraham clued us into the Holy cubit and the one probably utilized by Solomon. All this said, please note that the ancient and future cubit is entirely based on the Name of G-d.
And 232 + 39 + 4 = 275. And since 275/10 sefirot = 27.5 we have the secret measure of the Holy cubit, 27.5 inches, as dictated by the Holy Name of G-d Himself. Moreover, if Solomon logically utilized 22 inches as the cubit for the construction of the First Temple, anchoring it in the 22 foundation letters (building blocks) of the universe, the future and Holy cubit is exactly 25% larger than Solomons, fulfilling nicely the prophecy of Hagai and the divine analysis of the Ramchal and making the Future Temple 110 inches or 4 Holy cubits (5 Solomon cubits) higher than the First Temple. Not coincidentally, 110 is the numerical value of Nes (miracle) and the lifespan of Joseph in years. And for those of you who have read our recent article on the secret meaning of 5 Kings vs 4 Kings in Lech Lecha, please note that the Future cubit is 5/4 the length of Solomon’s cubit because it extends to Keter, where Solomon’s stopped at Wisdom (Chochma), just as the Arizal explained in that there are 5 levels of holiness and only 4 of evil. Now, we are calling the First Temple cubit, Solomon’s cubit, and we could just have easily referred to it as “the cubit of Wisdom,” but we can’t refer to it as the ancient cubit, because that designation is also bestowed upon our Future cubit, as it’s been utilized before and immortalized in stone, but that explanation, worthy of a book unto itself, will be revealed in our next article. For now, we want to illustrate how the ancient and future cubit is integrally tied into the concept of 3 and the 3-column 10 dimensional structure that our universe and the Tree-of-Life is designed around. and the point in space that this exercise would eventual reach is 30.00000000000000000…, or essentially 3, as 30 is just 3 x 10. We now can understand why the letter Lamed (L) of numerical value 30 was chosen as the last letter of the Torah. Together with the initial letter Bet (B), they form 32, as in the 32 Paths of Wisdom that comprise the Tree-of-life reality, in other words the 22 building blocks and the 10 sefirot(dimensions), which lies at the Heart (LB) of Holy Temple . And with the initial Bet (B) having one foot in the spiritual world, the initial 28 letters of the Torah’s first verse could be interpreted as 27.5 letters. if x = 2.75 then the summation series converges on 3. And thus we see that the length of the future cubit is much more than the length of our forearms and connects us to cosmic proportions that we can only begin to understand. Yet. Yet this time we must understand them, as we are the generation of knowledge and if we are to burst through to the dimension of keter, we’ll need to find the awe with which to do it through our minds. At that point our hearts will be open to receive. We have a lot to overcome, though, as the awe we have for our blackberries, I-Phones, computers and the like is so great. We’ve set our own high hurdles. In our next article we’ll rewrite history when we reveal how the secret measure of the cubit was cleverly concealed in stone thousands of years ago and available to all who wanted to seek it. The Torah portion Vaethchanan is always read right after Tisha B’Av, the day of utter darkness that always portends to hold the greatest light as the promised birth date of Moshiach Ben David. Long before the Final Solution, the destruction of the Holy Temples and the incident of the spies all occurred on Tisha B’Av, the 9th day of the month of Av, Abraham, the Patriarch, explained that the month of Av was controlled by the Hebrew letters Caf(C) and Tet(Tt), which divided the month spiritually into the first 9 days as indicated by the numerical value of the letter Tet(Tt) and the subsequent 20 days as indicated by the value of the letter Caf(C) and to the expression of the crowning sefira (dimension) of Keter. And in this portion, we always read the 42 words of the Shema’s first paragraph, the 10 Commandments, and the prophecies of the end of days as laid out by Moses. Referring to the portion of Chukath that we discussed in our article “The Book of the Wars of the Lord,” the act of Moses striking the ground twice instead of following G-d commandment to him “to speak to the cliff (rock)” and that the value of that phrase was 848, or twice that of Mashiach Ben David (424). And also that the reason he did that was to shorten the time span of the arrival of the Moshiach by half, from the 5778 years as denoted by the tzaddikim to 2889 years, which is the midpoint in King David’s life, because Moses knew how strong the negative side would be today and how difficult it would be for us to overcome it. Furthermore, the Torah hinted of this in the words “water from the rock,” which was what came directly from his action, in that this phrase’s numerical value is 345, that of Moses, whose completed spirit it is said will be our redeemer, our Moshiach, in the end of days. Moses knew that the evil inclination, like red wine grows stronger with age, but as previously discussed the evil inclination has its age limit as well, which one reason why wine (YYN) has the numerical value of 70 and is also one of the reasons we fill the Kiddush cup to the brim and look into it: to see an end to our judgments and an end (a limit) to the evil forces at the end of the 70 years. Moses knew G-d’s timing was at the end of the 70 years period from when Israel became a nation in 5708 (1948 CE), but he wanted to move that timing up to the end of the 70 years of King David’s life when we’d all have a better chance given the strength and Wisdom of King David and his son King Solomon. Moses knew it wasn’t really going to happen, but worth a try given what he knew of our odds today. But what he did bring us at the end of David’s 70 years was the First Holy Temple. We’ve discussed other reasons in other articles, but one of the reasons Moses knew this was that when Jacob was given the name Israel, the numerical value of 359 was added to that of the name Jacob (182), and Israel of numerical value 541 became the father of all the Israelites, and the value of the word Satan (359), code for the evil inclination, became embedded as our stumbling block. So if at the end of the 70 years, the value of Satan could be extracted from Israel, we’d be left with Jacob, who is Zein Anpin, and the natural order would be restored. As the word for “In Seventy (B’ShBAYM),” it has the numerical value 424, that of Moshiach Ben David, so we see what awaits us at the end of the 70 years if we truly desire it enough to work for it. As you will see, all this ties into pasha Vaethchanan, which starts off with Moses praying 515 times to enter the promised land in order to bring Moshiach once and for all. We’ve discussed this in prior articles about his obeying G-d’s request of him to stop at 515, when the 516th time would have achieved his desired result, so we’ll only point out that 848 – 515 = 333, as in the 3330 years that would transpire from the Exodus from Egypt and the reception of the Torah at Sinai when we were first offered the Tree-of-Life reality to the year 5778, when Rav Yehuda HaLevi Ashlag (HaSulam) of blessed memory and tells us we will next be offered that opportunity. The reason it was so telling that the essence of Jacob (Zeir Anpin) will return at the end of days is that the geula (final redemption) is all about the mating (reuniting) of the 6 sefirot (dimensions) of Zeir Anpin with Malchut (our 10th sefirot/dimension), completing the circuitry, as it completes the 7 lower sefirot and restores the Tree-of-life structure/ reality back to its original state, before Adam chose the wrong tree or course for mankind. 190: “Come and see, at first it is written, ‘He shall mightily roar because of His habitation’ (Yirmeyah 25:30). When Zeir Anpin will come out to receive his mate, Malchut, it is said, “The lion has roared, who will not fear’: “Adonai Elohim has spoken, who can but prophesy’ (Amos 3:8). At that time it is written, ‘then Hashem your Elohim will turn captivity’ (Devarim 30:3). What is meant by ‘turn’? [And he answers,] The Holy One, blessed be He, returns the congregation of Israel from exile, and the righteous returns to join its place…. To understand this, one must grasp that the Sun is Zeir Anpin, represented by the number 6, which coincides with the 6 thumbs and 6 feet of height of a man, but also that only the Sun, the giver of Light and life in our world, can create a shadow, and the temperature of the surface of the sun from which the light emanates is exactly 5778 K.
Neither Rav Ashlog 70 years ago, nor Rabbi Shimon Bar Yochai, the author of the Zohar, 1900 years ago, nor Moses, 3330 years ago, knew about the temperature of the sun, yet they knew the date, the length of the shadow cast by the tree-of-Knowledge of good and evil over our world. It’s important to understand that the 6 sefirot (dimensions) of Zeir Anpin, denoted by the number 6, can be expressed as 60, 600, 6000… or as 6, 66, 666… or even 6 x 6 x 6, depending on subtle interpretations of the sub-sefirot at each level. As the Zohar implies here and more explicated elsewhere, the commonly thought date for the Moshiach and redemption is at the end of the 5th millennium, around the year 6000, or 6 x 1000. These 6 thousands correspond the 6 letter Alefs (E) of Creation, in other words in the Torah’s first verse. The letter Alef (E), the first in the Hebrew Alphabet, of numerical value 1, is spelled ELP, which has a numerical value of 111, and as the Arizal explains, it also spells out the word Elef (ELP), meaning 1000, thus the 6 Alefs of Creation equal 6, 666, and 6000 respectively, all representative of Zeir Anpin. Just so we know, every 1000 years is 1/1730702 of 5778, which makes perfect sense since the 7 words of the Torah’s first verse come right out of the 42-Letter Name of G-d, whose small gematria value is 173 and 702 remainder is the numerical value of the word Shabbat, which is the malchut or final level, so that each 1000 years stretches from keter to machut. So with that stated, we can examine the Length of the Shadow as Rav Ashlag witnessed it: Applying the 3 column tree-of-life structure to the 6000 year period (or 6 Alefs) we see that it breaks down to 3 iterations of 2/3. As Rav Ashlag specifically pointed out, the final 2/3 period began with the death of the Arizal himself in (4000+1333) or 5333. But we should also note that the digits in 4000, 1333, and 444 = 4+0+0+0+1+3+3+3+4+4+4 = 26, the numerical value of the Tetragrammaton (YHVH). Couldn’t be coincidental, could it? Before examine further this divine equation (time-frame) in the 3-column structure let’s go back to the Torah portion Vaetchanan and the chapter where many of the prophecies are given, Devarim 4. As a clue to the connection to Moses’ pleas and actions of striking the rock twice on our behalf in order to bring Moshiach earlier than the proscribed divine time frame, this is chapter is the 515th chapter in the Torah, and there are four phrases within this chapter of numerical value 848, including one at Devarim 4:40 “A long time in the land that God your Lord [is giving you for all time],” but we’ll get into Moses prophecies a little later. In that same verse, Devarim 4:40, Moses uses the words “All time,” referring to the land that God our Lord is giving us for all time. “All time “kol h’yamim” is spelled in Hebrew CL HYMYM, which breaks down to kol (all) of numerical value 50, representing the 50 gates of Binah the Biblical jubilee year (50-years long), and the word value 50 is coupled with “the time” or “the days” h’yamim (HYMYM), which with the kolel of 1 has the numerical value of 666. Thus together they give us 50 x 66.6 jubilee years= 3330 years, which, as we’ve said, is the exact period of time from the first exodus and the reception of the Torah at Sinai when the tree-of-life was last offered to us in 2448 to the year 5778, which the tzaddikim have long known will be the next cosmic window for the Tree-of-life reality. And not coincidentally, in the very next chapter, the 516th chapter, coinciding with the 516 times that Moses needed to pray/plea to enter the promised land and bring in the Tree-of-life, we have the retelling of the 10 Commandments (Utterances). 4000 = 6 x 666…years; 1333 = 2 x 666…years ; and 444 = 2/3 x 666…. years for a total of 6 + 2 + 2/3 or 8 2/3 x 666 years. And going back to the seed of Creation, we see that the numerical value of the first 8 and 2/3 letters of the Torah (BREShYT BRE) is 1115.6, which magnificently coincides with the 115.6 jubilee years from the dawn of time (Adam) to the year 5778.
for a total of 86.666 x 66.6 years, and since 86 is the numerical value of Elohim, the 3rd and very next word after (BREShYT BRE), and since Elohim is the Name of G-d associated with the sefira (dimension) of Malchut, and since as discussed, 666 represents Zeir Anpin, we find that the 3-column structure of the divine equation not only brings the first 2/3 (Bereshit bre) of the first 3 words of the Torah together with the last 1/3 of those first 3 words (Elohim), but it couples (mates) Zeir Anpin with Malchut in the year 5778, as indicated in the Zohar would happen at the time of the final redemption. As an aside, and keep in mind that the revealing phrase “all time” was in Devarim 4:40, the gematria sofit value of those first 3 words is 1776, as in the year of the formation of the United States and as in 1 more that the total value of the 27 letters of the Hebrew Alphabet, 1775. We’ve covered the US role in the grand scheme of things in previous articles and also President Obama’s role as our 44th President and how that relates to the 10 plagues, whose first plague has the numerical value of 44 and whose second plague interestingly enough has the numerical value of 444, which we can now relate to the final 444 year period from the birth of the Arizal to the year 5778. We only mention this because two of the 3 columns of the divine equation 444 and 1333 equate to 444 + 1332 = 1776 when the 666.666 is rounded off to 666. And for anyone unaware, the year 5778 is the year 2018, exactly 10 years after the financial crises began in the US. And as discussed in numerous articles and at length in The Divine Calendar, the year 2018 CE corresponds numerically to the year 2018 HC, the year G-d made his Covenant with Abraham, to which the prophecies and promises of Vaetchanan relate and refer. And for those interested, the date that Moses was trying to shorten our time frame to was 2889, or midway through King David’s life and half of 5778, but 44 x 66.6 years is 2930, only 2 years after the First Holy Temple was built. And if you recall from our article on the Tetragrammaton, it spells out quite clearly 5778 as well, with the numerical value of the Malchut aspect of the Tetragrammaton (YVD HH VV HH) being 52 and with 5778/52 = 111.11538, we see that 2889 = 26 x 111.11538. And while we wont reiterate here the significance of .11538, remember that it all harks back to the first 6 alefs of Creation, each of numerical value 111. Here in the same portion where we have the Shema and the line “Hear O Israel, the Lord our G-d, G-d is One” we see it clearly stated that there is One G-d and we should not be worshipping anyone else or anything else, nor any image of anyone or anything else. It’s hinted at that if we obey that simple commandment we will merit Moshiach Ben David, but if not, then in 4:25 Moses begins to tell us the prophecies what will happen to us because he knew we wouldn’t fulfill that commandment. Through here, Moses appears to be describing the events of first century CE, when we were established in the land a long time and we were about 66.6% (2/3) of the way to 5778. It was known as a time of decadence (though not as bad as our generation) and many Israelites turned away from the One G-d commandment and began accepting the plausibility of praying to more than one god, which led to praying to images of that second god. Moses had even advised that the reason G-d didn’t let the Israelites at Sinai see Him was so they would make no images of Him with which to worship—it was that important that people worship directly. Yet as Moses foresaw, they did, and the Holy Temple was destroyed and the Israelites were scattered among the nations of the earth in small pockets. And there, also as Moses foresaw, they (we) served the men that made those idols and later more idols and more items to idolize, until we were like Abraham alone amongst the idols made by his father Terach in the final years between his birth in 1948 HC and the Covenant of the Lord 70 years later in 2018 HC. Then in Devarim 4:32 Moses cryptically advises us “inquire about times” [by] “going back to” [Creation], where in the 7 words of the Torah’s first verse we found the answer 5778 spelled out for us. But in Devarim 4:40 where we encountered both the prophetic numerical value 848 in “A long time in the land that God your Lord [is giving you for time],” and in the words “All time,” referring to the land that God our Lord is giving us for all time, which revealed to us the equation 50 x 66.6 = 3330, we also find that the full phrase “I am presenting to you today, so that He will be good to you and your children after you. Then you will endure for a long time in the land that God” has the numerical value 5777, and is only one of 13 phrases in the Torah with that value (4000+1333+444), with the number 13 being the value of ahava (love) and Echad (one) as in “G-d is One” found later in this portion. But we jumped ahead a verse and back in Devarim 4:33-34 Moses asks, “Has any nation ever heard God speaking out of fire, as you have, and still survived? Has God ever done miracles bringing one nation out of a another nation with such tremendous miracles, signs, wonders, war, a mighty hand and outstretched arm, and terrifying phenomena, as God did for you in Egypt before your very eyes?” Yes, the 10 occurrences that Moses listed correspond to the 10 plagues figuratively, which we alluded to earlier, but remember Moses is prophesying about the future hear, the final days, so he’s connecting us to the 10 sefirot of the Tree-of-life reality of the 10 Commandments, which will shortly follow this verse in the very next chapter, and also to what G-d will do for us yet again in the final days and final 10 years leading up to the final redemption in order to bring us back into the fold. Devarim 4:35 “You are the ones who have been shown, so that you will know that God is the Supreme Being, and there is none besides Him.” As we’ve made the point in previous articles, G-d didn’t make the plagues to impress Pharaoh; they were to awaken us. From the prophecies of chapter 4, we receive the Tree-of-life through the 10 Commandments (Utterances) in chapter 5 and then in chapter 6, we hear the words listen Israel again, especially in the first 6 words of the “Shema Israel” followed by the 42 words of the Shema’s first paragraph. In the verse just prior to the Shema, which also begins with “listen Israel,” tying the meaning of these verses together, Moses, speaking to our generation (“children’s children”) tells us that if we remain in awe of G-d and do what was proscribed, things will go well for us in the land flowing with milk and honey as G-d, Lord of our fathers, promised us. The first and last word of the famous verse, the words with enlarged final letters, Shema – Echad (ShMA EchD), add up numerically plus the 1 (kolel) to 424, Moshiach Ben David, and the enlarged letters, are Ayin and Dalet, spelling “witness” as the sages have told us, but they also have the numerical values 70 and 4 respectively, signifying the coming of Moshiach and the end of the 4th exile at the end of the 70 years from Israel’s statehood in 1948 and also the end of the 4th exile that began 1948 years earlier in 70 CE with the destruction of the Second Holy Temple. There are innumerable secrets embedded in the Shema and in the this portion, and this article is way too long as it is, so we will only point out a few for now. Right off the bat it’s well know that the Shema’s first paragraph is connected to the 42-Letter name of G-d, but if we observe the 5 verses that comprise the 42 words of the Shema’s first paragraph, we see that they all begin with a Vav(V) and end with a letter Caf(C), which together for Caf-Vav or 26, the numerical value of the Tetragrammaton (YHVH) and also that the first and last letters of the paragraph thus also form Caf-Vav as do the first 21 and last 21 words of the paragraph. But Vav-Caf sofit as its actually written in these 8 instances has the numerical value of 506, as in that of the first line (7 letters) of the 42-Letter Name matrix (Ana B’koach), and the word for “unconditional love” which is the point of it all. We mentioned the splitting of the paragraph into two halves as we find that the words and word values for Brit MB or Covenant of 42 are found right in the center and initials of those first 21 words with the kolel of 1 add up to 358, Mashiach. And it is also in the very midpoint of the 42 Letters of the 42-Letter Name (Shem MB) that we find the word Brit (BRYT ), or Covenant, spelled out as well. And lets not forget that the Covenant of Abraham was called the Covenant of Halves. Moreover it in the 4th verse of this 42-word first paragraph of the Shema that we’re told to “Bind [these words] as a sign on your hand, and let them be an emblem on your head,” which is the reason not only do the tefillin contain this paragraph of the Torah, but that there are 21 YHVH’s in the hand tefillin and 21 YHVH’s in the head tefillin for a total of 42. And this means that each of the two tefillin connects to the numerical value of 21 x 26 = 546, which is the sum total of the initials of the 10 sefirot (dimensions). But what’s more, if we search out words beginning with Vav (V) and connect them to the very next word ending with Caf (C) sofit within the first paragraph of the Shema, we find 13 more V-C combinations making a total of 21 within that first paragraph (42-words) of the Shema, and thus once again 21 x 26 = 546, which is the sum total of the initials of the 10 sefirot (dimensions). The Chosen Ones! Who Me? We are the Chosen Ones. What does it mean to be chosen? My wife wasn’t feeling well the other day and when I left to drop my son off at a play date, I told my daughter she was in charge while I was gone. She immediately said, “Then I’m the boss,” so I explained to her that it meant that she had to take responsibility while I was away (45 minutes), not that she could boss anyone around. A leader leads by example, not by decree. And that goes the same for a people (the chosen ones). We have to take responsibility for what’s happening all around us and to personally work to fix it, without telling anyone else what to do. If we can then inspire them to voluntarily help us, we will then be leaders. We haven’t done that. Moses did. King David did. The Baal Shem Tov did. And a long list of tzaddikim understood that and did it on a smaller scales. But is anyone today doing it? Is anyone ready to step up? The Geula (final redemption) will happen for those that are ready and have accepted the Tree-of-life reality, but for the majority it won’t, just like at Mt Sinai, as we’ve explained in numerous articles already. G-d provides cosmic windows for things to happen and either we’re ready and prepared for them, or we’re not. No one can just appear and do the work for us. Think about it, if that we’re the case, why make us wait? If we weren’t going to change on our own anyway, why wait until now, the year 2500 would have been just as good a time. It’s not about waiting for Moshiach (the Messiah) to come; it’s about becoming like the Mashiach. Those that have consciously accepted and prepare themselves for the Tree-of-life reality will step through it when the cosmic window opens. But how do we reach the millions that don’t realize that, and are waiting for someone to do it for them? And if we don’t try to reach them, what does that say about whether we’ve fully embraced the Tree-of-life consciousness or understood the essence of the Torah, with its over-riding principle to love they neighbor as thyself. We’ve been told Moshiach Ben Joseph will come first. Will he? It depends on us. Any one of us can stand up and become the leader that the world needs. If he steps up and takes responsibility, and inspires many others to follow and to take responsibility themselves, who would argue that he wouldn’t be Moshiach Ben Joseph. Then the way will be paved for Moshiach Ben David to take us the rest of the way. As the cosmic window of opportunity opens for us, someone needs to fulfill that mission, if not the 50th gate will close again. Back at Sinai, in 2448, we were at the 49th gate, which not coincidentally was the 49th jubilee year (50-year Biblical period) since Adam. As we finish our 5769th 9th of Av, we are reminded of the destruction of the First Holy Temple in 3338, 66.6 jubilee years after the sin of Adam, and are reminded of the darkness that comes from choosing the Tree-of-knowledge-of-good-and-evil over the tree-of-life. Now, 66.6 jubilee years after the revelation and opportunity at Sinai, we face the choice again. 5778, the year known to the tzaddikim, is just around the corner. When that 50th gate swings open will we go through as a tiny group, or as a whole people? Will we go through at all? The First Holy Temple was destroyed in –422 BCE, and as readers of “The Divine Calendar” know, 422 is the gematria value of “Seventy(70).” The Second Holy Temple was destroyed in 70 CE. In 5778, the nation of Israel will be 70 years old, the age that King David died; will we go through the gate as a nation, or let fear, doubts, and hatred grip us as in the past? We each have a choice to make. It’s up to each of us to take responsibility and to step up, and for one of us to take it to heart and step higher, inspiring the rest of us to follow in his beautiful footsteps. Let’s all take that first step, and then the second to make it easier for him—9 years is not much time to work with and we all have a long way to go. Let’s not waste anymore time. 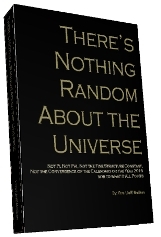 Author Jeffrey MeilikenPosted on July 31, 2009 Categories RevelationsTags 3338, 422, 50th gate, 5778, 666, 70, 70 years, 9th of Av, Adam, Baal Shem Tov, David, first temple, gematria, Holy Temple, jubilee year, Judaism, Mashiach, moses, Moshiach, moshiach ben david, Moshiach ben Joseph, Mount Sinai, Religion and Spirituality, Second Temple, Temple in Jerusalem, Torah1 Comment on The Chosen Ones! Who Me?